Get this free checklist and stop wondering what you should do next. Learn how to prepare the right way. Save time. Get your target score. Step 1- Go to a bookstore and look at some of the practice tests. Get a sense of how hard this test will be for you. Step 2- Find someone to help you. Don’t choose a general English conversation teacher. Work with someone who specializes in IELTS (not every ESL exam, just IELTS) and who has systems and strategies that work. Ask to talk with some of the teacher’s former students. Step 1- Do not start practicing the test right away! Focus on your general English skills. Take 3-4 months to improve your English. Listen to the All Ears English Podcast. Get a teacher on italki. Be smart about how you use your plan. 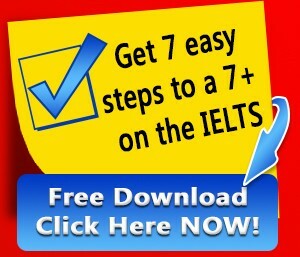 Don’t attempt to prepare for the IELTS without a plan. Work for a few hours each day and you will do fine. Leave your questions in the comments!